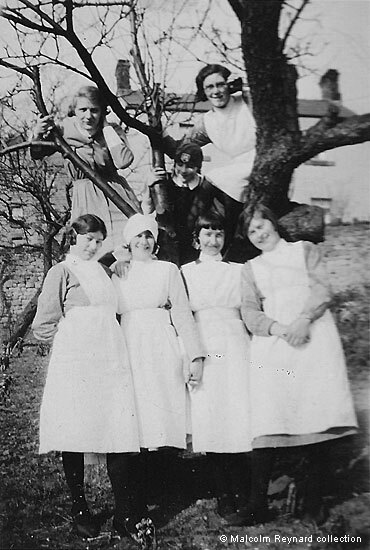 Dorothy Wood is in the tree, top right. Smedley's Terrace, looking towards the Winter Gardens and Smedley's Church. The Church was demolished over sixty years ago. 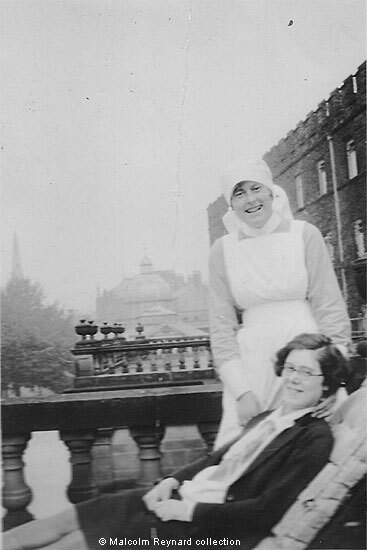 The "patient" was Dorothy Wood whilst her friend (name unknown) was the nurse. 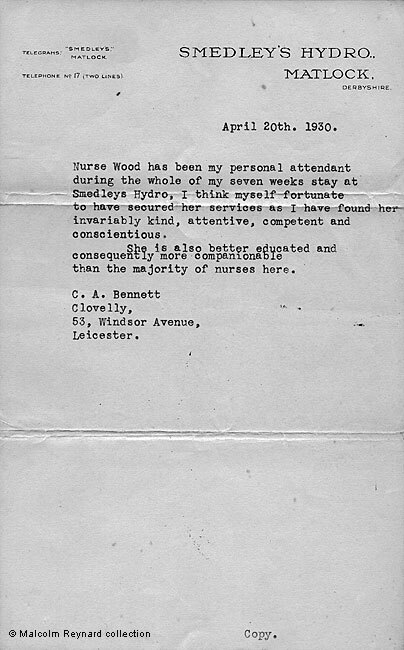 Glowing testimonial for Nurse Wood, written on Smedley's headed notepaper, from a very grateful patient, 1930.
with her schooling paid for by the family of Sheffield Cutler whom her mother had worked for. She later became Mrs. Reynard and was on the fringes of the Bloomsbury Group for a time. Images supplied by and Copyright © Malcolm Reynard collection. Written by and © Ann Andrews.